As many on campus know, Athletic Relations is a recently established SGA committee that strives to break down barriers between athletes and non-athletes, as well as encourage attendance to athletic events. This group consists of senior representative Ben Glidden, junior rep Bekah Stewart, sophomore rep Corbyn Holliday, freshman rep Jared Seitz and a great group of volunteers. According to Executive Joel Frees, this committee has sponsored around fourteen athletic events so far this semester. “These usually consist of a theme, some sort of contest or giveaway and a lot of advertisement to really get a boost of support on that specific night. We also put on the first biannual ‘Pros vs. Joes’ night, where non-athlete students played the off-season varsity teams in their given sport. We got a new LED outside the commons primarily to promote athletic events but really anything that we think students should know about. We took a few suggestions to get a pep band and started to get the ball rolling on that. Dr. Mike Redwine and Dr. Rich Cantwell have both been huge helps in leading the charge to get this pep band at sporting events – they sound great! As far as upcoming events go, Athletic Relations, along with the Multicultural Student Network, will be hosting their first ever “Teddy Toss” in Sawyer during the Men’s Basketball game at 4:00 on November 23rd. In this event, the crowd will all toss their teddy bears (or donated coats) onto the court at a certain time in the game. The bears will be collected and distributed to charities while the coats will be hand delivered downtown. All will go to needy children for Christmas. “Next semester will bring about some fresh sports, which will be a lot of fun for everyone to attend. I’m most excited to get out and support the athletes that have been faithful in supporting fellow athletes this semester. We can return the favor! And, of course, I am excited about 2nd semester ‘Pros vs. Joes,’” Frees said. “The most visible change I have seen on campus through our efforts is obviously the school spirit and support so far this year. 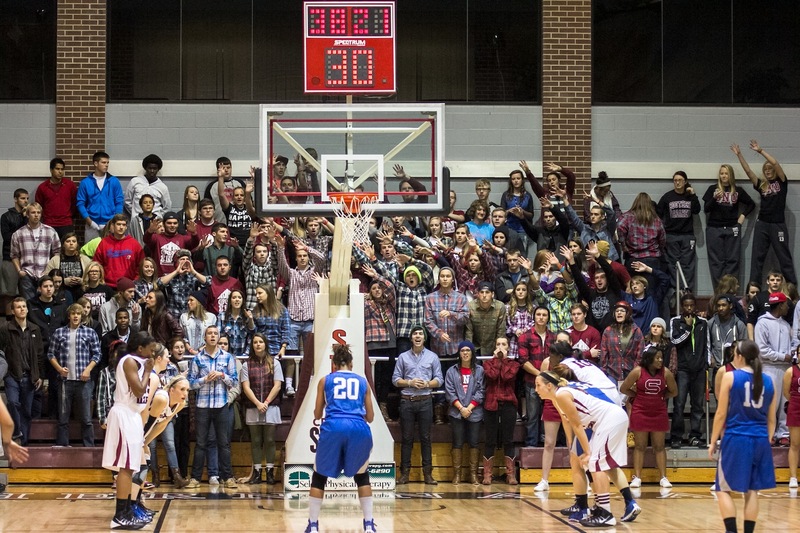 Our student sections have been absolutely incredible and so much fun to be a part of. I am hoping that through this support, new relationships will be made between people who may otherwise never talk. Pros vs. Joes is an event that is designed to create a platform for conversation and a good time, which is part of our goal as Athletic Relations…to develop relationships and show love to our athletes who have not been as appreciated as they should be in years past. Outside of athletics, I even believe our non-music students have been a lot more supportive this year towards the different music department events. This does not have to do with Athletic Relations, but it is nice to see students support those who put a lot of time into what they do. God sure has had His hand on our campus this year and has opened hearts to new things.